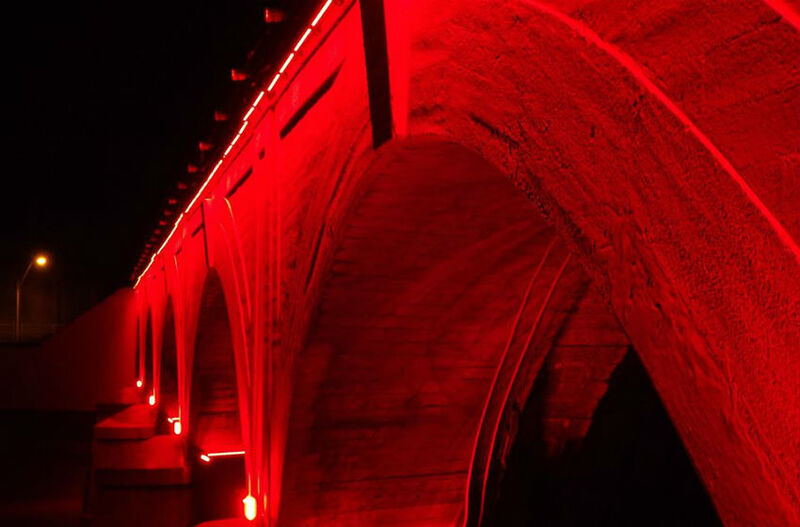 The Stone Bridge is lighted for three hours each evening. 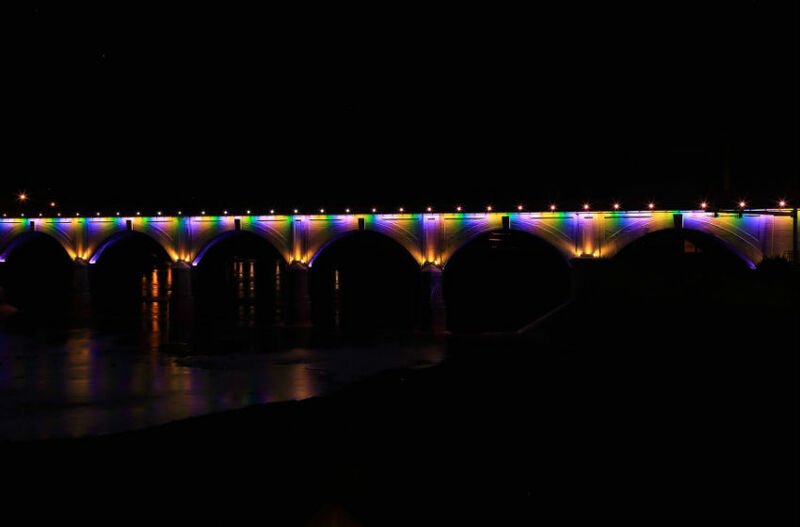 The Stone Bridge Lighting Project in memory of Rep. John Murtha was dedicated on Sept. 24, 2011, after a multi-year fundraising effort. 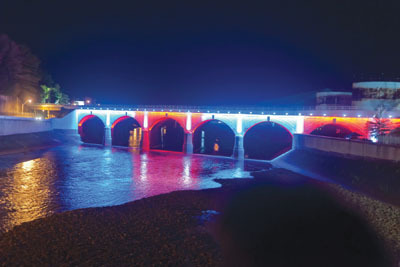 The $1.2 million project lights the bridge in colorful programmable LED lights that change frequently. 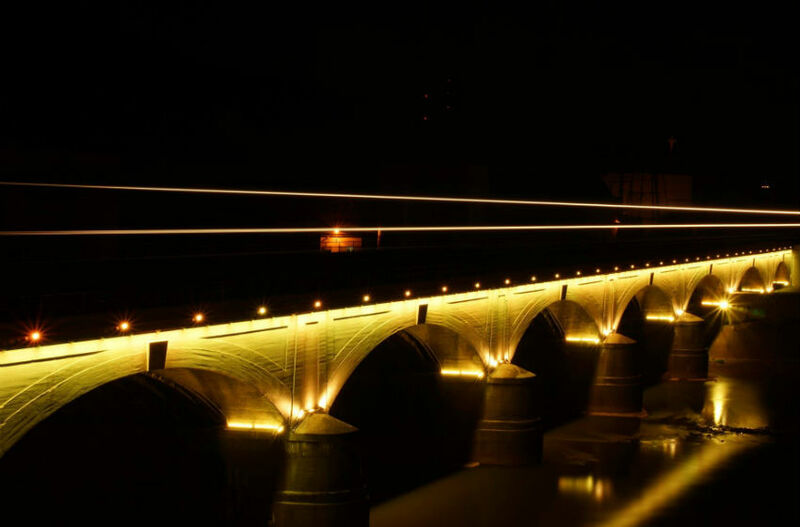 The bridge is lighted for three hours each evening, and the schedule is adjusted throughout the year depending on sunset times. 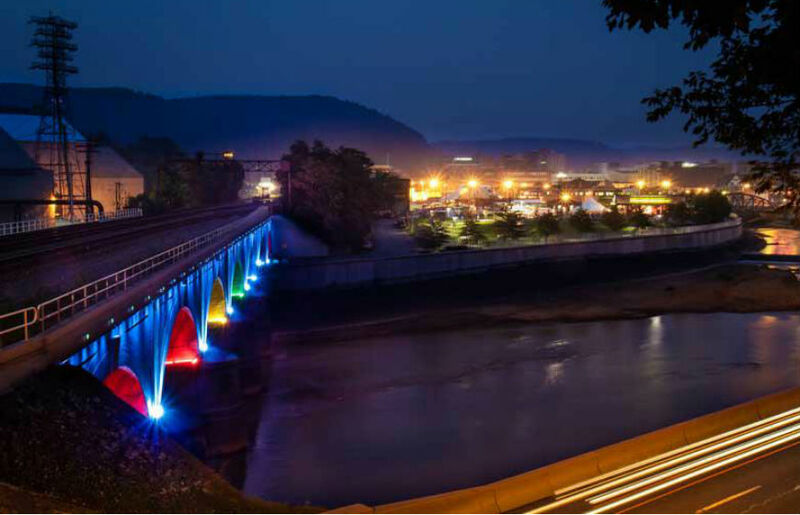 For special events at Peoples Natural Gas Park and in downtown Johnstown, the lights are occasionally on longer. The front page of this section of the site, as well as the calendar on the home page of jaha.org, indicates what hours the lights will be on. Special note: the bridge lights computer sometimes slides a few minutes early! We adjust this as often as we can, but take this into consideration if you’re making a special trip down to see the lights. JAHA is responsible for programming the lights. 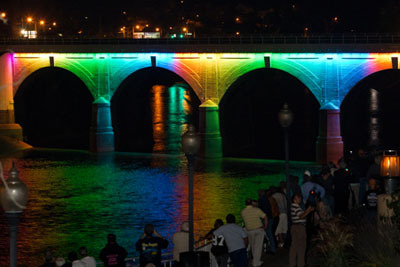 During the first 30 minutes of each evening, a rainbow lightshow will be presented before the lights settle into the colors for the evening. The colors are chosen with the goal of being inclusive, meaningful and fun. Color choices often reflect holidays and special events and observances. Examples include religious and secular holidays (Yom Kippur, Halloween, Thanksgiving, Hanukkah, Christmas, July 4, Valentine’s Day, Easter, etc. ); special observances (Breast Cancer Awareness Month, Election Day, World AIDS Day, St. Patrick’s Day, Earth Day, etc. ); and other special events (Steelers home games, the Olympics, special events in the Peoples Natural Gas Park). 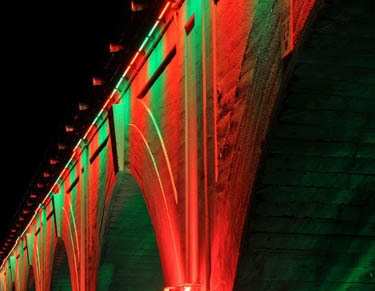 Otherwise, the bridge lighting color choices reflect the season of the year. 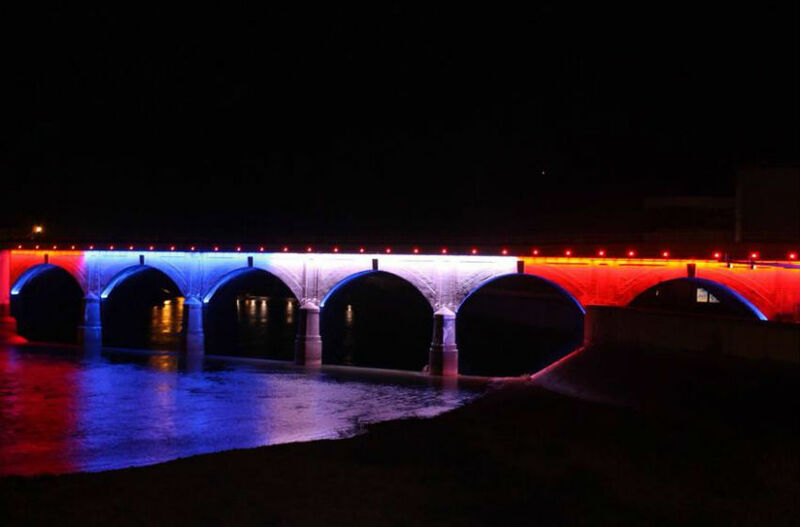 The Facebook Page is updated with information on what colors the lights are, and why. 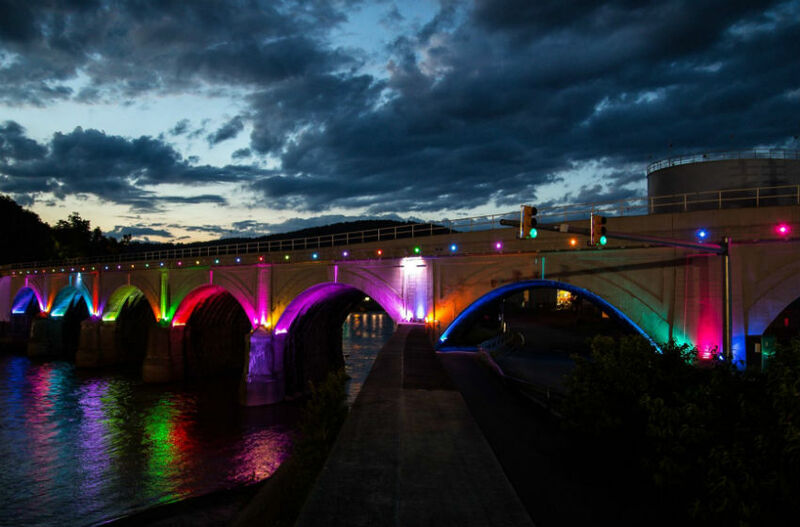 The Johnstown Area Heritage Association happily accepts requests to light the bridge for events and observances that are important to members of the community, such as health observances. 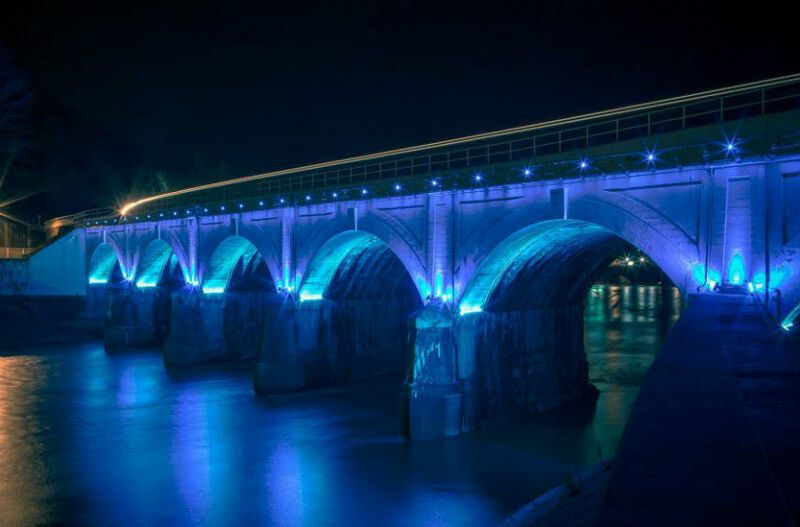 We also accept rentals of the lights for personal events such as memorials, birthdays, pregnancy gender reveals, sports events and other occasions. 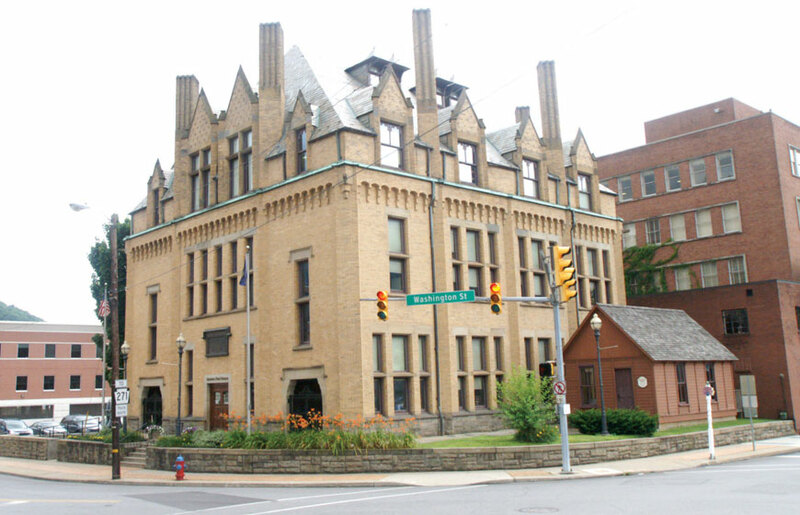 Community events take precedence over rentals, and JAHA reserves the right to refuse requests. To inquire about the lights for a community event or observance or for a private rental, use the form below. Our bridge camera has been made possible through the Community Foundation for the Alleghenies through the Robert Waters Charitable Trust; John Polacek, Bill Polacek, and Tom Polacek; Laurel Holdings, Inc.; and In-shore Technologies, Inc.
Our thanks to the bridge photographers who regularly share their work with us, including Kasey Hagens, Phil Balko, John Burley, and Adam Ciner.